A controversial topic is being discussed on various online platforms in Nigeria: does a church has the right to introduce fees for entrance? This time, Christ Embassy is in the hub of attention over alleged introduction of N1,000 fee for the December 31 service. The topic is being widely discussed on Nairaland. Some participants of the forum justify the decision, others say it is capitalism, not religion. The most astonishing part is that some people, perhaps members of the Christ Embassy (believers loveworld), simply denied such a fee ever existed. “I’m beginning to get more curious and furious about this, it has been going on for about four years now and people are not seeing anything wrong about it or, I say, his members are brainwashed to the highest order not to see anything wrong in this. “Someone should please call this Christ Embassy church to order, every year they charge people coming to worship with them on the 31st night the sum 1,000 naira as a gate fee. In the previous years they sell tickets before the show, sorry, I mean service, so all who wants to attend the 31st night service must come with their tickets to enter the church auditorium. “But this year they decided to craft another means of collecting this 1,000 naira, they made it compulsory for each attendees to purchase an electronic gate pass for 1,000 naira. My question is, are they going to dance to the melody of a superstar singer or dance to sound of a superstar DJ? Even the huge yearly program The Experience is free, someone should please call this Loveworld ministry, aka Christ Embassy, to order, reaping off our gullible citizens,” a nairalander wrote in the evening of December 30. Some replies are really confusing. Maybe there has been a misunderstanding?! “…Heard same thing last year. I asked a member of christ embassy and he said its not true. …Don’t know what to believe [undecided],” a nairalander, MissSlimbody, wrote. “See the way you are complaining more than the members. The 1,000 naira is to restrict invitation of people to the auditorium because of limited space. If you cannot pay the token, why not approach the other viewing centers? By the way, no one is going to eat their 1,000 naira fee. The money realized will be used for the sponsor and support of the ministry,” jared007 replied. 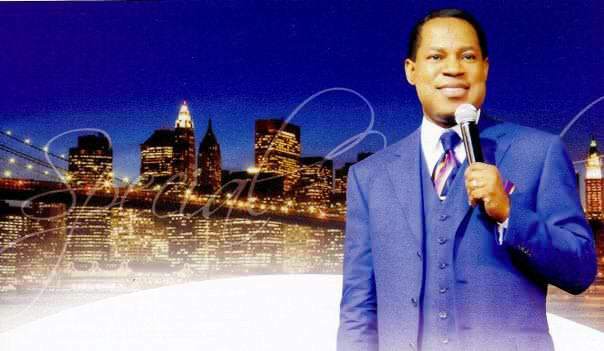 “This issue of a gate fee for cross over night at Christ Embassy has become a perennial issue. The church has explained why they do it and the members understand the reason. In my honest opinion, if the people who pay are doing so without complaining, I say let the matter rest,” Reptyle wrote. “They said that 1,000 is for crowd control… Shocked crowd control for a church… That implies that on the day of judgement heaven might adopt this strategy if the number of those bound for heaven are much… After all they call themselves ‘Christ Embassy’,” royallord1 stated. “Why not just go to Femi shrine and listen to true African redemption music, see beautiful girls and have real fun. Take easy with alcohol, smoke some cases if you do, I am sure you will have a beautiful start of the new year. Do not be fooled by usurpers that compounds the problems of Blackman with their indoctrinated and baseless teachings,” redsun opined.